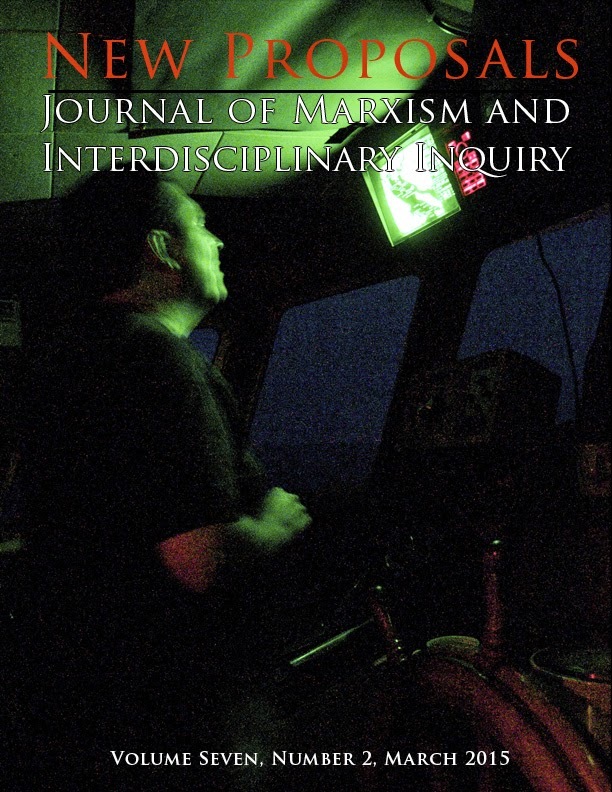 On the cover of the March 2015 issue of the journal New Proposals is a photo taken in the wheelhouse of a coastal British Columbia fishboat. It is dark out, the image is not in sharp focus, the man on the wheel is staring up at an electronic map display, and we can’t see forward through the vessel’s windows. For those familiar with navigational electronics you will know that the green display is of a GPS (Global Positioning System) assisted chart plotter. It shows where one is and aids in finding the way towards one’s destination. On a vessel of this size we also had a radar that helped show other vessels moving around us, radios providing information on weather conditions, and devices to tell us how deep the water was underneath the boat’s hull was. All of that is meaningless, of course, if we didn’t also know how to interpret the information. All of that electronic data is then compared with the sounds we hear and what we see when we open a wheelhouse window and peer forward into the dark, rainy night. Early navigators travelling through these same waterways millennia ago did not have our electronic instruments. They did share a similar understanding of the physical sense of navigation and observational skills required to move through unfamiliar terrain. The old histories of navigating through these waters include references to landmarks and currents that remain familiar to us today. Yet we see them slightly differently and we use them to purposes somewhat different than our predecessors did. We remain intent, however, upon finding our way from one point to another. Łagyigyet, the old people or ancestors, made their lives in these waters. They struggled to find a balance between themselves and their human needs and the other social beings that inhabited these waters. While their world was not perfect, it was a world in which a certain sense of social justice pervaded. When the people lost their way from the path retribution was swift – floods, slides, death felled the prideful. Out of each crisis and collapse the old people rose again and reestablished themselves. The most recent crisis, one that we have yet to find our way out of, was heralded in by the arrival of a new class of navigators: European merchant adventures. These sail powered ships arrived searching for new resources to exploit as part of the capitalist expansion out of Europe then underway. In addition to being instrumental in expanding capitalist relations of production, these newcomers brought devastating disease that led to massive depopulation at genocidal levels. Out of the ensuing melee came the imposition of a system of economic and political governance that has prioritized greed, individual advancement, and dishonesty. The 20th century was witnessed to several disastrous attempts to find an escape from the depredations of capitalism and capitalists. The revolutionary attempts at change fell prey to the poisoned global environment and crashed in on themselves. In their wake even worse examples of capitalist libertarianism have emerged. Mistakes can happen. Knowledge, tools, skills don’t guarantee that our journey is made without difficulty or mishap. I have stood in a wheelhouse of a boat when the seas were too rough, the conditions too dangerous to go forward. I recall one time when we were all gathered on the wheelhouse. We were heading out across a treacherous open body of water with the waves and wind coming up. A decision needed to be made. Did we keep moving forward, take the risk of that dangerous crossing? Ultimately the decision was made to turn back. Yet, even that decision was difficult to execute. To turn the boat at the wrong moment would capsize her. That I write about it nearly 40 years later testifies to the fact we made the turn and brought the boat around. The journey toward a more just society is fraught with turnarounds, disruptions, and even loss of faith in the possibility. From scholarly activism to feminist interventions we have a set of tools and a body of knowledge that can help as we navigate forward. In the cracks and fissures of an imperfect capitalism we can make spaces for collaboration and cooperation, even in the center of imperialist nations. A lot has changed since the days when a paper newspaper sold on a street corner could be a revolutionary instrument of change. Today the internet has superseded that older technology. Nonetheless the same the configuration of capitalism remains at the heart of the problem: a patent disregard for human sentiment or dignity. We can offer no certainty about the outcome. We can and will offer examples to follow. I invite you to join the journey toward social justice.